Today when you arrive at a supermarket or gourmet food store, you are likely to find a fairly good selection of good quality olive oils. Unfortunately, many of the oils on the shelves are “boutique” oils in attractive and small bottles. They probably have artistic, designer labels – both from the US and from Spain and Italy. So, how do you choose a good Spanish olive oil? Well, reading the label is important, as well as knowing what is important and what is not, since many pieces of information on the label is marketing hype. Before we review label information, let’s review what happens before the oil is bottled. First, the olives are harvested from the trees. There may be several different harvests throughout the period. The time of the harvest definitely affects the flavor. The earlier the harvest, the greener, stronger and more bitter the flavor of the oil will be. The later the harvest, the milder and buttery the oil will be. Processing affects the flavor as well. Once the olives arrive at the mill, they are crushed with their pits; this makes a thick paste called mash. This mash is then either pressed or centrifuged to separate the oil. If pressed, the oil is allowed to stand until the oil floats to the top, thus separating it from any impurities. If centrifuged, it is centrifuged for a second time to eliminate the impurities. Once free of impurities, the oil is aged from 3 to 6 months. The natural bitterness is reduced by this “aging” process. Green olives that are mature and harvested in the early fall makes oil that is green and has a sharp flavor. Some use adjectives like “grassy,” “peppery” or “woody.” Fruit that is harvested from early winter to early spring is riper and has a purplish or blackish color. The oil produced from this later harvest is generally golden in color, with a fruitier and smoother taste. How do you Read Olive Oil Labels? 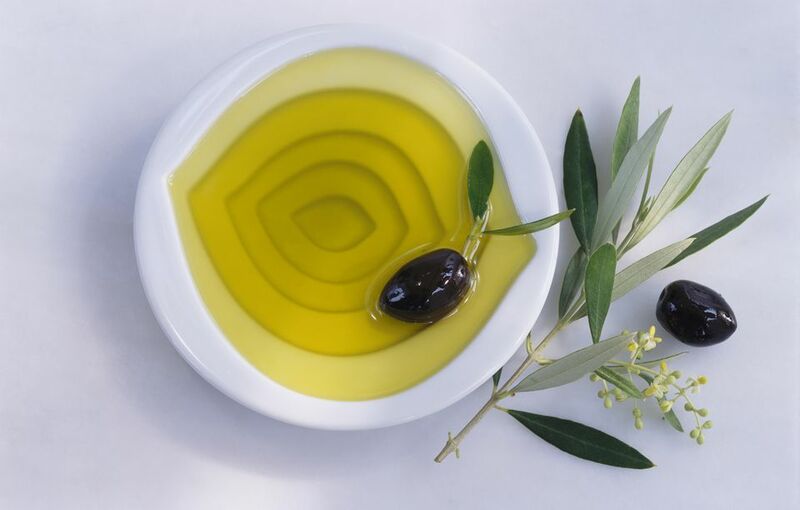 Although the IOOC (International Olive Oil Council) and the EU (European Union) have legal definitions for the olive oil grades, labels here in the USA can be confusing. Thankfully most Spanish olive oil bottles have straightforward labeling. Marketing jargon and nutritional hype may intimidate shoppers who are simply looking for the best quality olive oil to cook with. Read on and don’t be fooled! Acidity Level – There are rules for the level of acidity that the various grades of olive oil can contain. Olive Variety – There can be several varieties of olives used in an oil. Producers often blend varieties to achieve the taste they want in the end product. The olive variety will only be important to you if you already know that you prefer the taste of a particular variety of olive. Origin – The origin of the olives and olive oil tell you if the olive oil is domestic, perhaps from California, or Spanish, Italian or Greek. Early or Late Harvest – Olives can be harvested anytime until completely ripe and black. Olives (green) that are harvested early can make green oils, while late-harvest oils are generally golden. First Cold Pressing – This is unnecessary information. When olives are pressed, no heat is used. No heat would be used in producing virgin oil. The only time heat is used is for “refined” oil. Cholesterol Level – Olive oil IS healthy oil, but olives are a fruit and no fruits or vegetables have cholesterol, anyway! All Natural, Unrefined, No Preservatives – Of course, there are no preservatives, and it is all natural if the oil is virgin olive oil. No Heat or Chemicals Used – Again, unnecessary information if the oil is virgin. If you stick with Extra Virgin Spanish Olive Oil, you really cannot go wrong. Yes, the color and flavor of the oil may vary from brand to brand. So, try buying several different brands of Spanish olive oil and use them on salads, in recipes and for frying to see which one(s) you prefer. Spanish olive oil is a bargain here in the USA because it is not as "famous" as Italian olive oil and is not packaged and marketed as "boutique" as many California olive oils are.